Sheffield United missed out on the chance to return to the top of the Championship table as Jack Marriott's 77th-minute strike halted their winning run and earned Derby County a 2-1 success. Chris Wilder's side had won each of their previous four league games, but saw Middlesbrough move above them on goal difference following a victory over Sheffield Wednesday on Friday night. 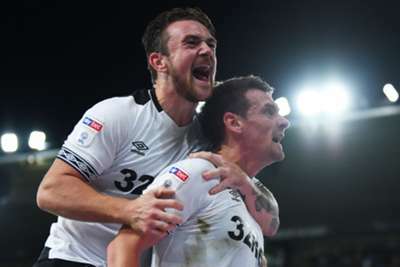 The Blades fell behind at Pride Park after 18 seconds as Craig Bryson put Derby ahead from a Marriott assist, only to level prior to the break through Chris Basham. However, Marriott guided Craig Forsyth's left-wing cross into the far corner of the net with 13 minutes remaining to ensure Derby claimed all three points. Frank Lampard's men had gone ahead before a Sheffield United player even touched the ball as they attacked straight from kick-off and scored when Marriott teed up Bryson to place a shot into the bottom left-hand corner of the net. Sheffield United equalised four minutes before the interval, though, Basham sweeping in after a good run from John Fleck. However, Derby were rewarded for their second-half pressure when Marriott used his shin to divert Forsyth's delivery home 13 minutes from time.